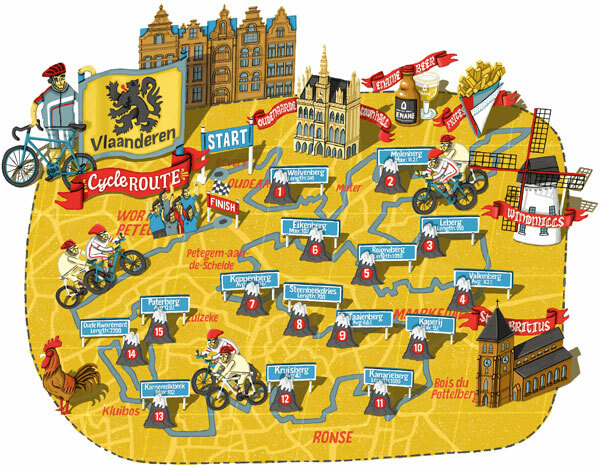 This was a map produced for a feature on a cycling route around Flanders, Belgium for Cycling Active. The client wanted the route shown, along with some of the climbs which I represented as little mountains with road signs giving the stats. 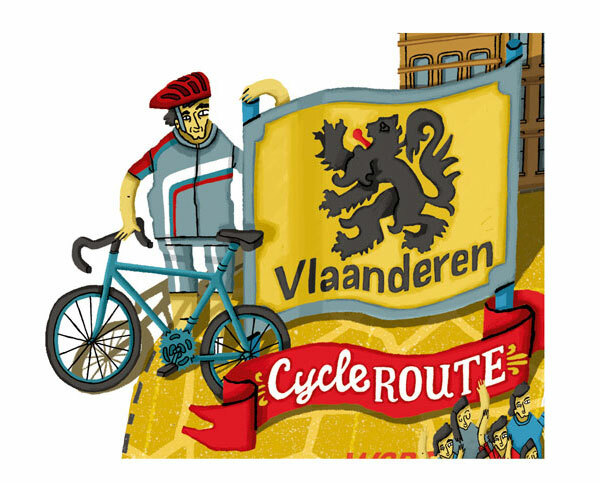 And of course there are a few little Belgian themed images in there – windmills, frites and beer amongst them. Lots more maps on my website if you fancy a peek.